Wax Chattels are a ‘guitar’ music trio from New Zealand. However, the fact that their music doesn’t actually contain any guitars doesn’t mean that they are lacking. In fact, on their self-titled debut album they emerge more fully formed than any other young band in recent memory. Recorded in their live setup, this is a taut and powerful album of experimental noise that’s listenable in the same way the HEALTH were early on. The frenzied drumming of Tom Leggett, and the rumbling basslines of Amanda Cheng set the groundwork for the show-stopping lines that pulse from Peter Ruddell’s analogue synthesiser. In place of guitar, the brooding melodies and stabbing attacks of Ruddell place tracks like ‘It’ in a liminal, vague universe that feels – whilst not entirely alien – wholly different from our own, whilst Cheng’s haunting vocals open up wide, blurry spaces on the ever-building, hollowing album highlight, ‘Career’. For a three-piece, they cover a lot of ground, too. Reverb-heavy bass allows the band to make phantomic fuzz-rock on ‘Shrinkage’ while a juttering synth turns a track like ‘NRG’ into a Liars-esque post-punk thunderstorm. The caustic, brooding moments are where the band thrives the most, as closer ‘Facebook’ proves. Guttural and cathartic, it winds and throbs with post-apocalyptic drones as Ruddell’s spoken-word lyrics increase in intensity. 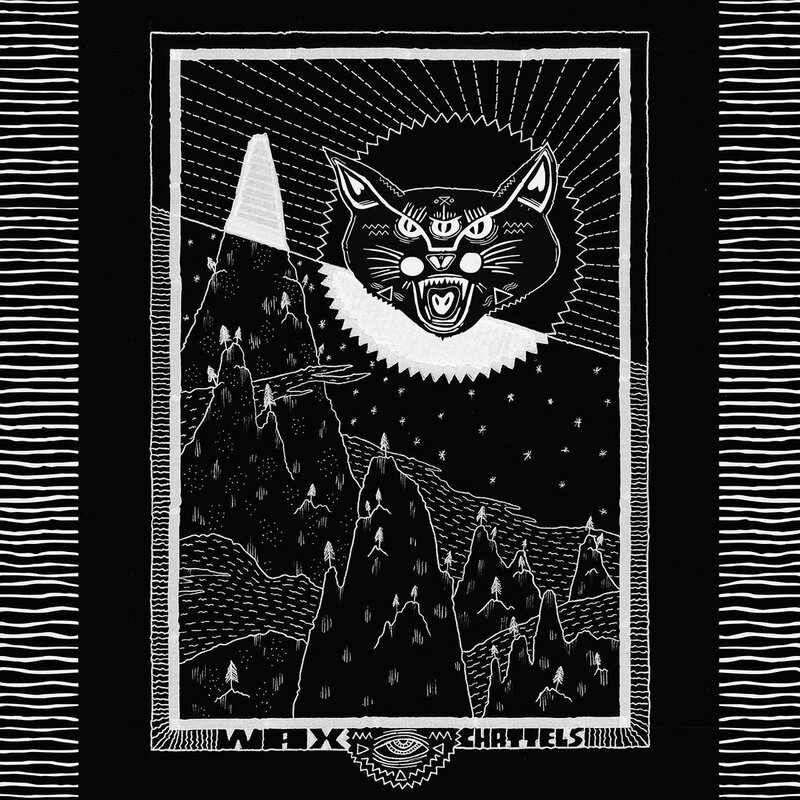 One album in, and Wax Chattels already have a unique identity and singular sound.